In tribute to the legendary writer, who died at the age of 88 on Jan. 22, 2018, Canadian writers share how her books shaped their lives. Throughout her celebrated career, Ursula K. Le Guin was not just a favourite among readers, but among writers as well. Her imaginative and deeply perceptive work is credited with pushing the boundaries of science fiction and fantasy writing. Her recent death at the age of 88 marks a profound loss in the literary community. Le Guin published over 20 novels, 10 short story collections and a dozen books of poetry, as well as essay collections and children's books. Her work earned her both the Hugo and Nebula Awards, as well as the National Book Foundation's Medal for Distinguished Contribution to American Letters. Below, in tribute to the legendary science fiction and fantasy writer, Canadian writers share their favourite books by Le Guin. "The Dispossessed is a book with a helical structure — the story of a life that wraps, so the chapters alternate in time, interweaving the story of how Shevek came to leave one planet with the story of how he came to leave another. It's the story of his love, life, freedom, fatherhood and a theory of physics that will allow simultaneous faster than light communication. Shevek's world of Anarres isn't perfect, but it is very different from ours in details that are thoroughly thought through and feel real. Because it's a political anarchy, Shevek is a character whose axioms and way of looking at the world diverge from ours in many ways. It's also a portrait of a working scientist that is quite unlike the way science is usually treated in fiction. Le Guin here is writing science fiction at its absolute best, giving us through new worlds, new societies that contrast with ours, showing us how science can change the world, but doing it through a close up deeply felt story of somebody who, though in fact alien, enlarges our view of humanity." Jo Walton is a Hugo and Nebula award-winning science fiction and fantasy writer from Montreal. Her acclaimed novels include Necessity, The Just City, Tooth and Claw and Among Others. "How does a committed Le Guin reader choose only one of her works to hold up as an exemplar of her craft when so much of what she wrote is deserving of praise? Do I start with her deeply humane literary and cultural criticism? Her expansive reflections on spirituality, philosophy and ethics? Her generous and formidable speeches in defence of literature, of fantasy, of story and truth and the humanity that these should rightly serve? Do I look at the novels, the short stories, the essays, the meditations? Do I suggest a singular text or the epic cycles? It's the same struggle I have when I'm teaching her work and forced to choose only one or two pieces, and I'm never fully satisfied with the result. But if I had to choose one among many brilliant, bracing, and challenging texts, it would be the first of her novels I read as a teenager: The Tombs of Atuan, the second volume of her Earthsea series. It's an alternately beautiful and terrifying tale of a young woman stripped of her name and bound to empty obedience to nameless, predatory subterranean entities, who unexpectedly finds her freedom and her true self when a stranger comes to the Tombs. Her journey from frightened underworld priestess and tool of other people's ambitions to formidable woman who claims her own destiny in the open world of sea wind and stars is among the most beautiful character arcs in Le Guin's corpus, and its meditation on liberation through self-knowledge speaks as forcefully today as ever." Daniel Heath Justice (Cherokee Nation) is the author of Why Indigenous Literatures Matter (Wilfrid Laurier University Press) and holds the Canada Research Chair in Indigenous Literature and Expressive Culture at the University of British Columbia. 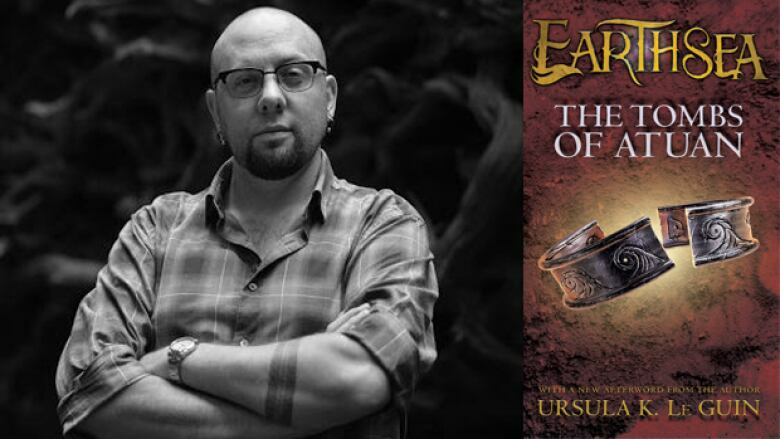 He is also the author of the fantasy series The Way of Thorn and Thunder. "Ursula K. Le Guin has flown across to 'the other wind.' I'm filled with sadness. I'm so deeply grateful for the stories and essays she's left for us, the conversations we will continue to have with her ideas and her spirit, as they live and breathe through her stories. 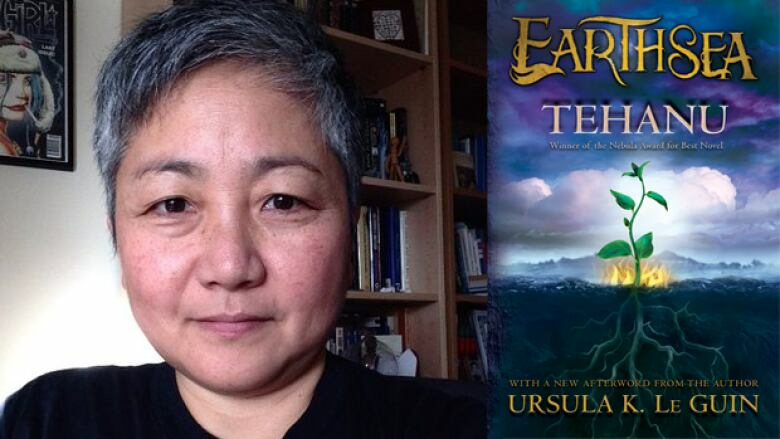 Tehanu, the fourth book of the Earthsea Cycle, is a tale about the lives of middle-aged women and girls living through hard and violent times, near a small village, on a farm. You may need to read the first three novels first… Maybe you care nothing for fantastical worlds and dragons. In Tehanu, magic can also be thought of as another word for power. At every turn, Le Guin casts her clear-eyed gaze at who wields and directs power in social systems, how power affects the individual. Tehanu is not epic fantasy— the storyline picks up when the epic is over. We follow the life of a widowed farmwife, Tenar, and her adopted daughter, Therru. The humble details of domestic labour. The power in that. How a woman can be powerful inside that space. Yet, also, how that power can be taken away by men in a patriarchal system. Very much like the lives of so many women throughout our world…. 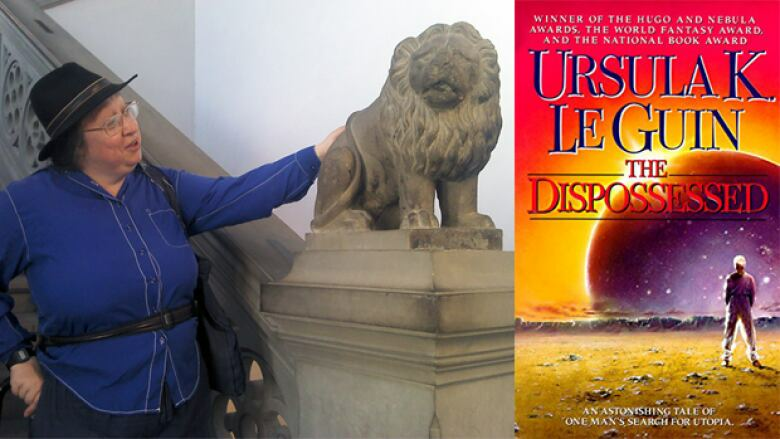 What Ursula K. Le Guin could do with wor(l)ds, speculative! She takes us into the darkest and frailest places of human nature and human systems, and leads us out again. Le Guin did not write escapist fiction — her books are deeply philosophical and unflinchingly asks of her characters, and of us, how are we to be? In Tehanu, I learn again and again." Hiromi Goto's books include Half World, which won the the 2010 Sunburst Award for Canadian Literature of the Fantastic in the young adult category, as well as Chorus of Mushrooms, which won the Commonwealth Writers' Prize for Best First Book in the Caribbean and Canada region. Her latest novel is Darkest Light. 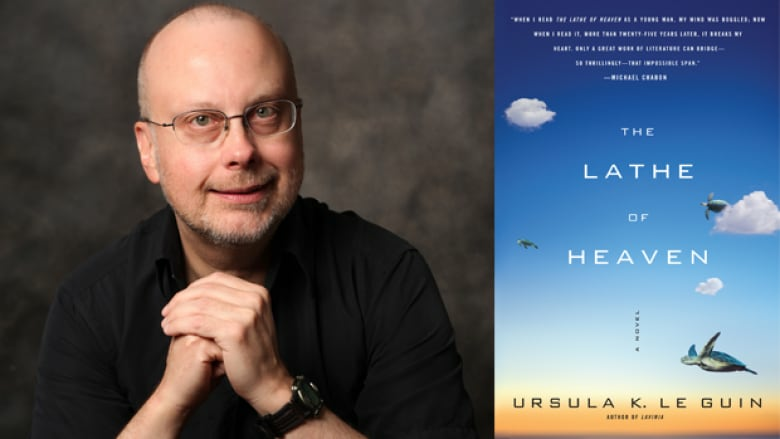 "Ursula was one of those who wrote both science fiction and fantasy, but I'm only partial to the former, and of her SF work, my favourite was 1971's The Lathe of Heaven. As she told me when I interviewed her for CBC Radio's Ideas series in 1985, a good science-fiction novel 'engages both intellectually and ethically,' a lesson that I took as a guiding principle for my own fiction. The Lathe of Heaven is a perfect example of her dictum. It deals with George Orr, a man dreaming of a better future — and whose nightly dreams actually become the next day's reality, but with that reality always twisted to illuminate the unforeseen dark sides of his utopian visions. Ursula was a towering writer and a wonderful human being. I'm sad she's gone." Robert J. Sawyer's books have won the Hugo, Nebula and John W. Campbell Memorial Awards. His books include Quantum Night, Red Planet Blues and the Neanderthal Parallax trilogy. He was appointed to the Order of Canada in 2016. "Ursula K. Le Guin was a fierce, brilliant mind and a genre-changing novelist. She spent a good part of her life challenging the notion that science fiction or fantasy were trivial fields in which to write, unworthy of serious thought or moral commitment. She lived to see her long efforts slowly rewarded, for herself, and for some who followed her. Her great works — The Left Hand of Darkness, The Earthsea Trilogy, The Dispossessed — will be rightly lauded as people remember her. "I want to mention another strand of her thought and work, expressed in speeches and essays. One of my favourites among her books is The Language of the Night, which collects some brilliant pieces. One, From Elfland to Poughkeepsie, talks about the importance of language in shaping the fantastic, and how language can fail. Fakery, Le Guin wrote, taking no prisoners, 'is visible instantly in the style.' You can't read her, as a writer, without thinking very hard about this. Another, Why Are Americans Afraid of Dragons, is a hymn to the imagination, to nurturing and valuing it — in children and in adults. Her essays and speeches are often angry about folly in politics, in the oppression of women and minorities, in art — and she didn't suffer fools gladly at all. But her words, if we listen, can make us less foolish in the world. That's a thing about great artists: they leave us bereft when they go, but their words are still ours if we turn to them." 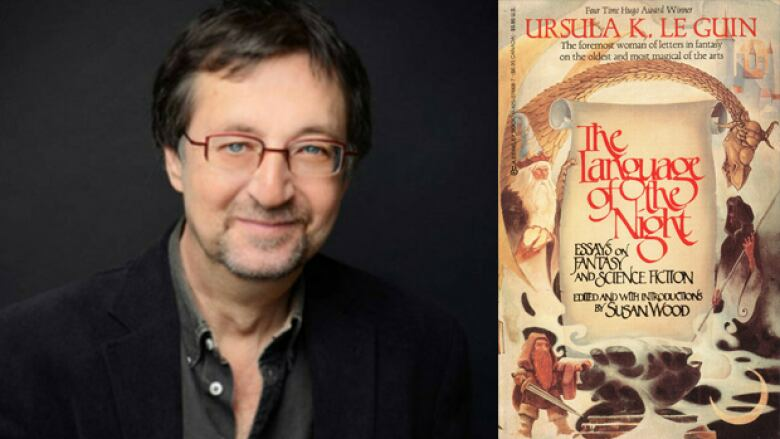 Guy Gavriel Kay is the bestselling author of books like Children of Earth and Sky, A Song for Arbonne, as well as the internationally acclaimed Fionavar Tapestry series, which is currently being adapted for television. He was named to the Order of Canada in 2014.